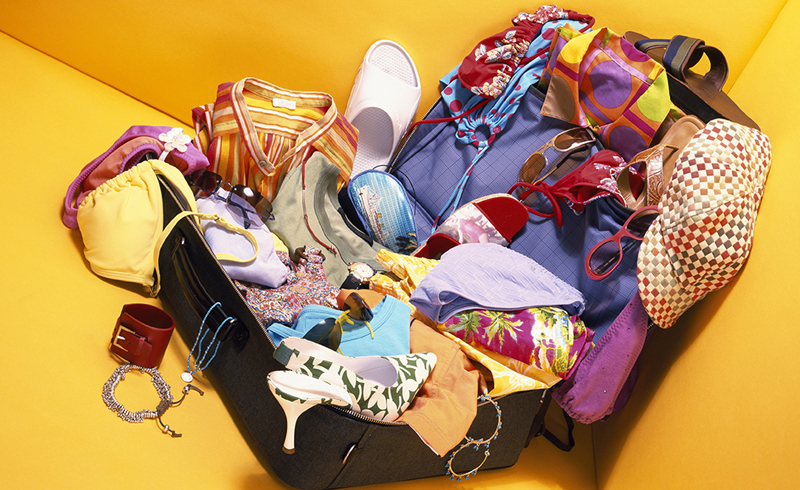 Rolling your clothes is a great way to maximize space in a suitcase. Follow the steps that T+L shares in a step-by-step guide to rolling your clothes: Fold the article of clothing lengthwise. Roll tightly as you would a sleeping bag. Lay the piece of clothing in your bag with heavier items like jeans or sweaters along the bottom and near the wheels for balance. If you’re headed on a business trip or a wedding, and don’t want to roll your fancier items, place a piece of dry-cleaner plastic or tissue between each layer to prevent wrinkles. Also, consider leaving fancier items on hangers, and popping them in the closet as soon as you arrive. 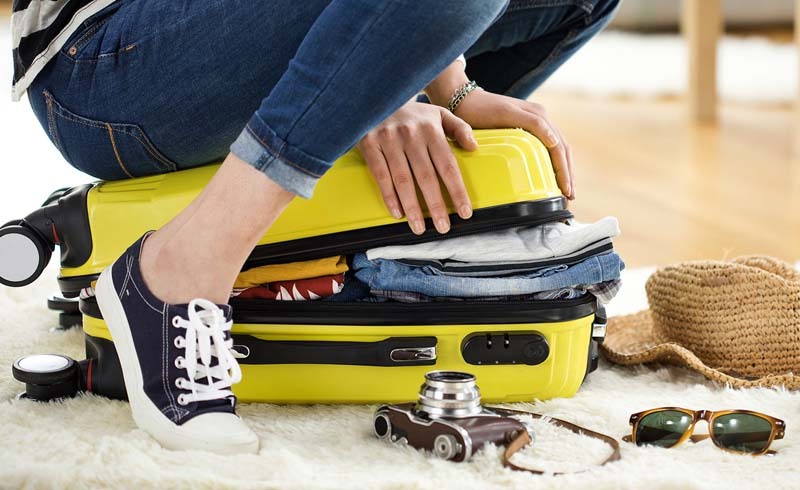 If you’re an inveterate and unapologetic over packer, consider investing in compression bags, which let you vacuum out excess air, saving space along the way. Just remember that compression bags save space, but don’t cut down on a bag’s weight.